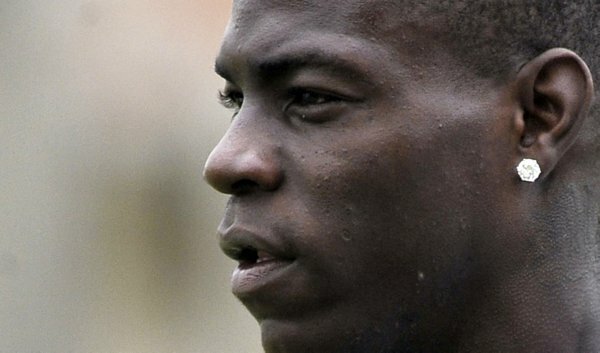 Another day, another ‘it couldn’t happen to anyone else’ tale of Balo-madness. According to the Beeb, Italian police have requested an interview with Mario Balotelli over a visit he paid to a known ‘Mafia hotspot’ in Naples almost a year ago. Balotelli was photographed in the company of several high-ranking members of the Neapolitan mafia, known as the ‘Camorra’, as he toured around Scampia – one of the most deprived, violent and crime-ridden parts of the city. The Camorra are known to have forged links with Diego Maradona during his Napoli days in the 1980s, and Italian organised crime investigators are keen to suss out whether Balotelli may have inadvertently made similar connections during his wanderings – though, they stress, they do no suspect him of having committed any crime. The Man City striker has been summoned to appear before prosecutors as a witness on September 15th, ironically the very day after City play Napoli in their maiden Champions League outing. the way he behave is just like a mafia or mad man,lets police investigate and know his status.